Dive into the crystal-clear pool and cool off on a hot summer’s day. Seek out some shade under the pergola or bathe in the sunshine with coffee and a magazine while admiring the district and mountain views. ESQ’s resort-style pool deck is your place to refresh, unwind and find wellbeing close to home. 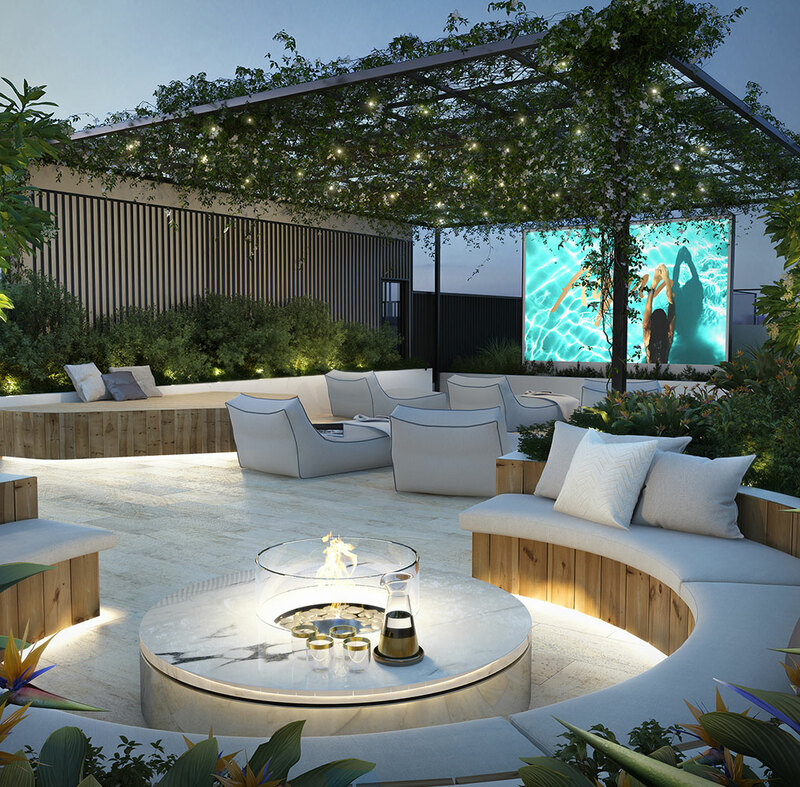 A beautiful central courtyard forms a series of wonderful outdoor spaces in which to relax, spread out on the grass, or chat with your neighbours. Timber decks, seating walls, benches and grassy areas provide multiple opportunities to socialise or simply get outside and enjoy the sunshine. Barbecue facilities, gardened paths and play spaces for kids create leisure choices for all ages, just a lift ride away from your luxury apartment.